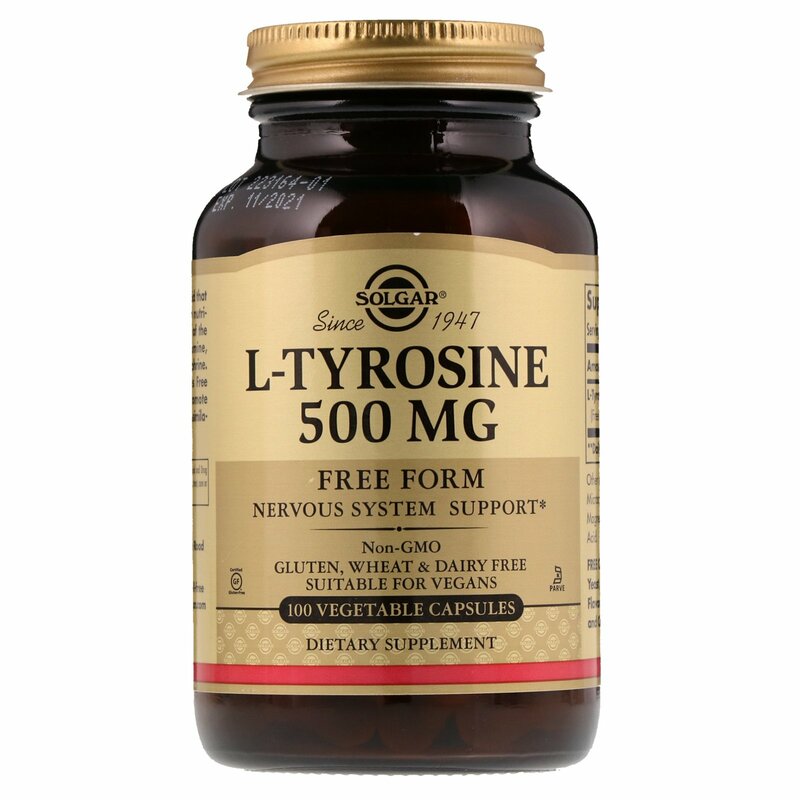 L-Tyrosine is an amino acid that supports brain nutrition, as it is a precursor of the neurotransmitters dopamine, norepinephrine and epinephrine. This formulation provides Free Form L-Tyrosine to promote optimal absorption and assimilation. 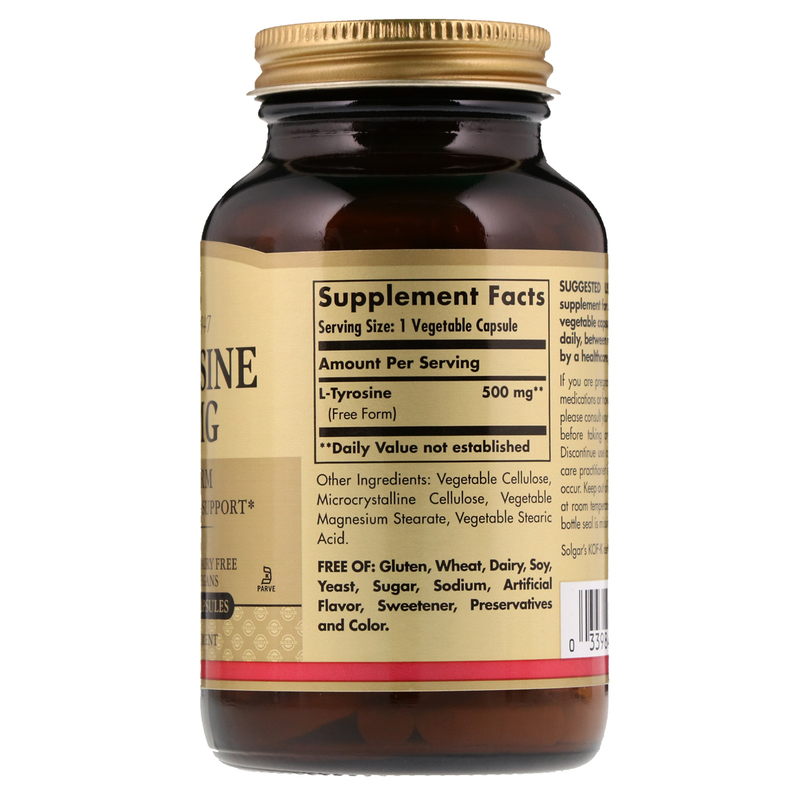 As a dietary supplement for adults, take one (1) to two (2) vegetable capsules daily between means, or as directed by a healthcare practitioner. If you are pregnant, nursing, taking any medication or have a medical condition, please consult your healthcare practitioner before taking any dietary supplement. Keep out of reach of children. Store in cool, dry place. Do not use if outer bottle seal is missing, torn or damaged in any way.